There is still much to be done to recover from the floods in December 2015. The main way you can help our community to recover is to come and visit us. Enjoy the breathtaking scenery and many exciting activities, stay in one of the wonderful Hotels, B&Bs and cottages, shop in our local shops, and eat, drink and be merry in one of the many cafes, restaurants and pubs. There is still plenty of clearing up to be done. There are often volunteer work parties organised at weekends and other times by the community, The National Trust or others. If you’d like to get involved then please let us know and we’ll give you details of upcoming opportunities. Please click the button to send us an email asking for more information. Whilst many of the big issues like the beck wall in Glenridding are being paid for by the Environment Agency, there are a host of other clean up and resilience jobs that we are aiming to fund ourselves as a community. We have been humbled by the support we have received to date and really appreciate any donations made. You can donate to our Community Flood Group by cheque - please send a cheque payable to “Patterdale Parish Council”. 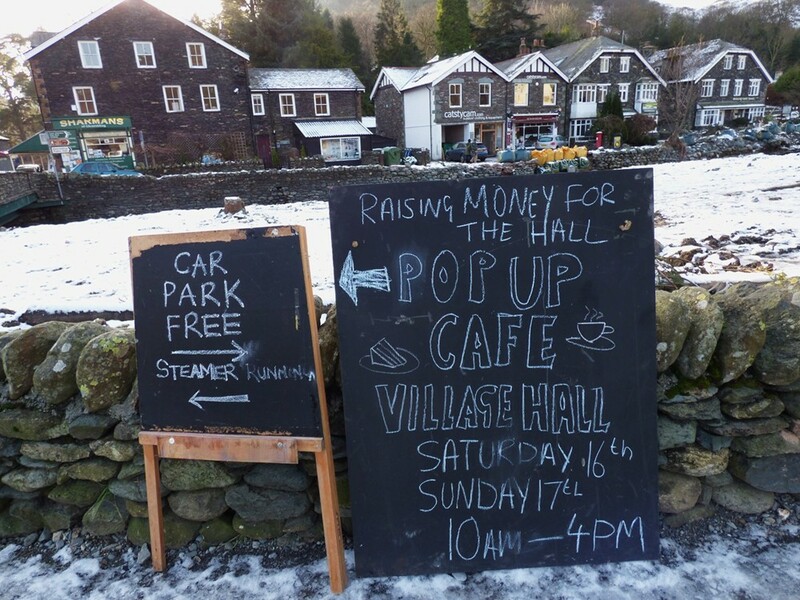 Address: Glenridding Public Hall, Glenridding, Cumbria, CA11 0PA. Or donate online: Sort Code 30-16-28 A/C No. 00250017 A/C: Patterdale Parish Council Business Account. Please add reference "Glenridding flood appeal". Please click the button to contact us for more information. 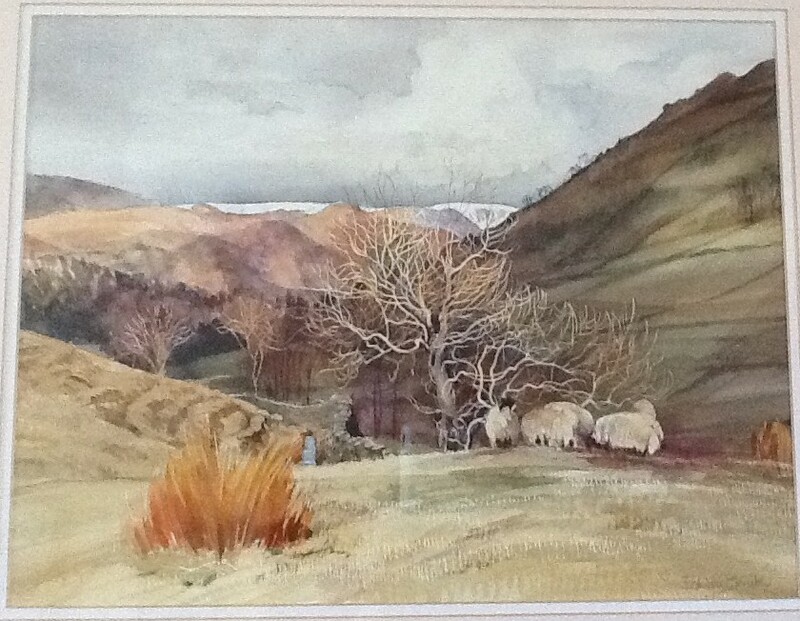 The family of renown artist Edwin Straker (who sadly died in 2011 after a long and successful career) kindly donated one of his original water colours, “Sheep Wintering Above Hartsop” was auctioned to raise money for the Flood Recovery fund. This wonderful painting, measuring around 30x40 cms was on display in The Glenridding Gallery throughout the summer and many sealed bids were entered. The winning bid was for £501. We’d like to take this opportunity to thank the family and all our supporters for their kind generosity which is truly appreciated.